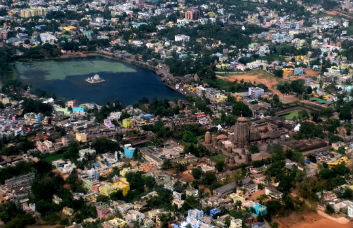 Bhubaneswar: In a global Edit-a-thon on heritage monuments of the Temple City, the Bhubaneswar Development Authority has partnered with the Centre for Internet and Society – Access to Knowledge (CIS-A2K) to create more content on city-based sites and received 193 articles by 26 editors from 13 different languages across the globe. Articles during the Edit-a-thon came from different languages, including German, Bengali, Sinhalese, Telugu, Kannada, Tamil, Punjabi, Hindi, Azerbaijani and others. The most number of articles around 44 articles were created in the Bengali language by 4 Wikipedians followed by 42 articles in Sinhalese by an individual. The main edit-a-thon is planned to be held in July or August this year, which aims to represent monuments of Bhubaneswar in more languages. BDA’s partnership with CIS-A2K to conduct the Bhubaneswar Heritage Edit-a-thon was just a pilot project in November last year. This activity, undertaken by Odia language Wikipedia editors, was aimed at improving and enriching information on Wikipedia regarding the rich heritage and culture of monuments in Bhubaneswar. There are 287 active Wikipedias around the world and 23 in India.The edit-a-thon lead to the updated of information about Odisha’s history, culture, and monuments in various language Wikipedias. In a culmination of this global edit-a-thon, BDA is also partnering with CIS-A2K for QRpedia Project, a first of its kind project in India that installs QR codes at sites of historical importance in the city. These QR codes direct visitors to the Wikipedia page of the site or monument in the language of their choice. This is part of BDA’s efforts to make the culture and history of the city more accessible to citizens, tourists and researchers in India and the world over. ‘Wikifying’ these monumentsalso urges local citizens to become more aware of the history amidst which they live that they can then appreciate, protect, and preserve. QR Code is short for Quick Response Code. They can be accessed easily with the one scan from your cell phone camera. Most of the Smartphone Operating Systems have their inbuilt QRCode scanners, where the phone camera can be used to scan the QR code, or an external app from the Google Play Store or Apple App store need to be installed on your mobile device which can be used to scan the QR codes installed in the monuments. After scanning the QR code, it will take to the Wikipedia article of that monument in either Odia or English language. With increase in tourists in 2017, the article count of different monuments of Bhubaneswar on Wikipedia has increased for more than 25 percent in comparison to 2016. This will help tourists, researchers, and knowledge seekers gain a better understanding of the region and its way of life. Projects such as QRpedia have been undertaken globally in countries like UK and Australia in order to enable tourists to explore the rich historical background of the places they visit. An edit-a-thon is an activity whereby editors of online communities such as Wikipedia edit and improve a specific topic or type of content. These can be done remotely online as well as in physical locations where basic training is given as well. BDA has striven to ensure that the ancient city of Bhubaneswar stay forever updated in technology front. Bhubaneswar has already topped the list of 100 Smart City proposals submitted to the Smart City Mission. As part of this Smart City Proposal, a GIS-based web portal called “BhubaneswarOne” has already been developed through which public can view all GIS based data pertaining to the city. There is a separate “Heritage Story Map” where about 100 of these heritage temples / monuments have been mapped, photo-documented and hosted online.